Today, I’m telling the tale of two book series. Both YA and sci-fi, both with strong protagonists (both male and female), both with stories built around secrets and lies. 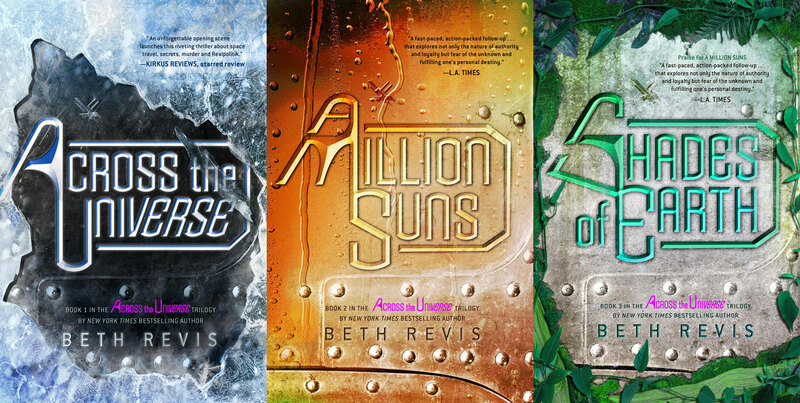 They also happen to be two of the best sci-fi series in the YA category that I’ve read. 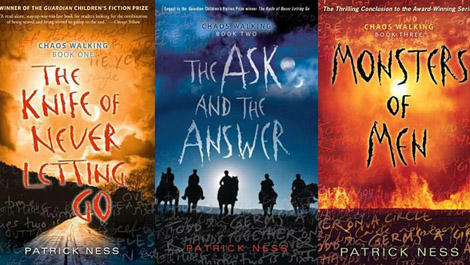 The “Across the Universe” trilogy by Beth Revis and the “Chaos Walking” series by Patrick Ness have a lot of similar themes. Both stories take us on space exploration. In Across the Universe, our protagonist Amy is woken from a cryogenic sleep aboard the spaceship Godspeed on its way to explore a new planet. In Chaos Walking, Viola is thrust into a strange society on a new planet after her parents die while attempting to land their scout shuttle. Secrets, lies and deceit, oh my! Both trilogies include some intricately laid deception for their characters to uncover. The Across the Universe series takes your from the spaceship Godspeed to Centauri-Earth, but the larger journey is the journey toward truth. In the first book, the spaceship is being led by a secretive dictator and the behavior of the people born on the ship is far from any normal Amy has seen on Earth. She and Elder begin working together to reveal the truth behind the mysteries, and they continue in their truth-seeking mission throughout the series. The series is like a web of deception. Each truth Amy and Elder discover clings to more secrets and half-truths they must unravel. In the Chaos Walking series, the truth about the planet’s checkered past with the native alien race, and the conflicts that haven taken place among the human settlers, gradually comes to light. Though Todd has lived his whole life on the planet, he realizes that every bit of history he thought he knew was a lie. Both series tackle some pretty major moral dilemmas for their protagonists, who want to be “good” people while in bad situations. Chaos Walking delves into this more deeply than Across the Universe. At one point in the series, Todd is effectively trapped working for his greatest enemy, and in doing so, he loses hope. Along the way, he commits some morally questionable acts. At the same time, Viola has found her way to a rebel group that is striking back. The actions of the army and the rebels are both morally gray, as they put people’s lives at stake in their struggle for power, and Viola and Todd’s determination to do the right thing is put to the test. In Across the Universe, Elder and Amy also have their own moral tests. After discovering people are being controlled by a drug and discontinuing its use, Elder’s leadership is met with rebellion and chaos. He must decide, as his control over his people crumbles, whether it’s better to risk mutiny for the sake of free will or maintain the peace with mind-controlling drugs. But just as Amy serves as his moral compass in these instances, Elder also reins in Amy when she is bent on vengeance. In this way, they help each other make vital choices about one kind of people – and leaders – they want to be. “Across the Universe” and “Chaos Walking” have everything I want in a book series: strong characters, adventure, mystery and the kind of soul-searching that makes you think about the choices we all make in less than ideal circumstances. When you read them, other YA books pale in comparison. So, what are you waiting for? Read them, then come back and tell me what you think.